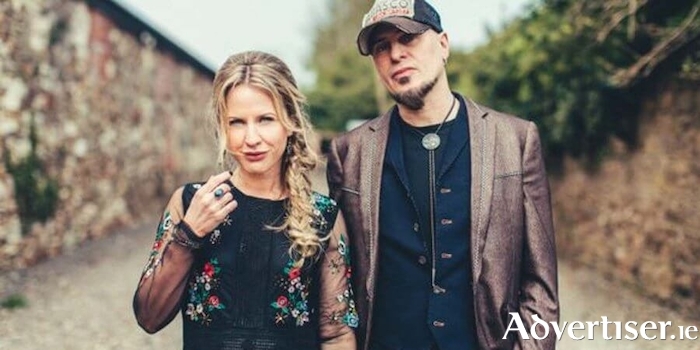 The Irish husband-and-wife Americana/Roots duo comprising KJ McEvoy and Aileen Mythen will play in Christ Church, Castlebar this evening, Friday October 12, joined by very special guest - blues / soul singer, Joanne Keegan. The Remedy Club have been described by renowned music journalist Jackie Hayden as ‘a marriage of folk and country with a hint of the blues with delicious harmonies and nimble guitar playing’. Their album, Lovers, Legends and Lost Causes, has been receiving much attention at home and abroad in recent months and features the accomplished string-playing of KJ’s sister, Eleanor McEvoy, who joined forces with a sterling troupe of Ireland’s hottest musicians. The critically acclaimed album saw The Remedy Club working with Nashville’s 5-time Grammy award winner Ray Kennedy (Steve Earle, Lucinda Williams, Willie Nelson ), who is to produce the duo’s next album in 2019. After a busy summer of festivals and gigs in Ireland and abroad including the Earagail Festival, Donegal and Millport Country Festival, Isle of Cumbrae, The Remedy Club have been garnering audiences far and wide. Live, The Remedy Club are an exciting, captivating proposition with their performances veering from intimate and soulful to full on hoedown mode. Don’t miss what promises to be a very special evening. Doors: 7:45pm. Show starts at 8pm.